The definition of luxury mattress is subjective. I have yet to sleep on some of the mattresses that cost more than $5,000 that have things like horse hair in them. 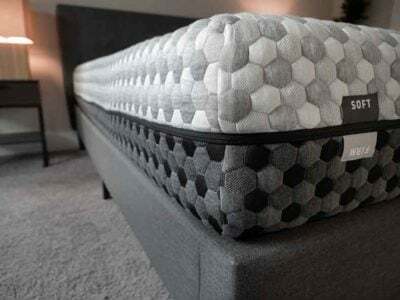 However, I have slept on a number of premium mattresses that I think qualify as “luxury.” I’ll go over a few of my favorites and explain what you should look out for if you have a higher mattress buying budget. For each one, I’ll try to explain why I like them and who they would be the best fit for. 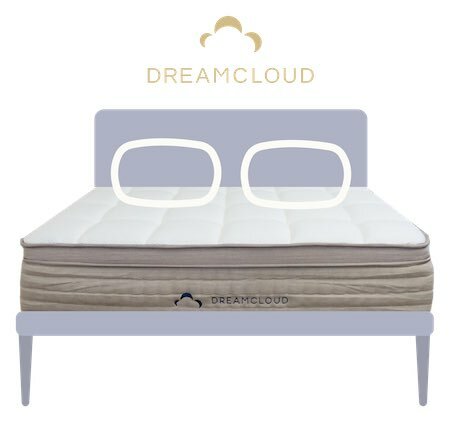 If you are looking for a luxury mattress that is firmer than average, then the DreamCloud could be a good choice. The mattress has a lot of features that are common amongst top luxury brands. For example, it has hand tufting. It has a cashmere blend cover. It is 15 inches thick in total and features 8 different layers. 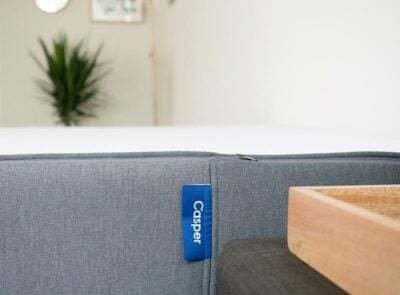 It is a hybrid mattress that features a pocketed coil system that is zoned to provide extra support in the areas where you need it the most. 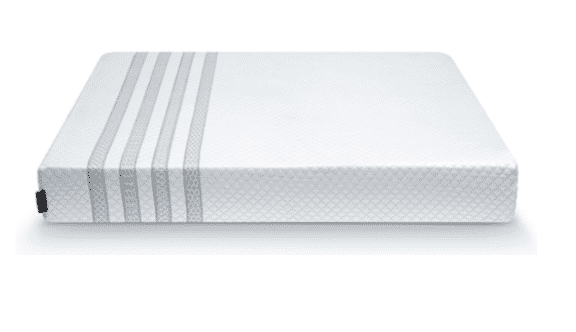 Overall, it is a well built mattress that is most appropriate for side and back sleepers because of its firmness. It is firmer than average, so if you are heavier or you sleep on your back or stomach, this could be a good fit for you. The Sapira mattress aims to combine the best parts of foam and spring mattresses. It has a heavy-duty pocketed spring system that also provides amazing edge support. It is a highly supportive and durable coil system. The comfort layer consists of a layer of high-density, latex-like foam that provides bounce and breathability. Underneath that is a layer of 4 lb. memory foam for pressure relief and body contouring. The two layers combine to have great pressure relief without the feeling of getting stuck. You can move around and change positions very easily as well. The mattress uses all very durable components and does a great job of being a “best of both worlds” type of mattress. It definitely qualifies as a good luxury mattress. Zenhaven stands out in that it uses natural latex. Natural latex is expensive and difficult to source, so you don’t see it in a ton of mattresses. It is definitely a “luxury” item to have natural latex in a mattress, and it’s also a way for a mattress to be truly organic. 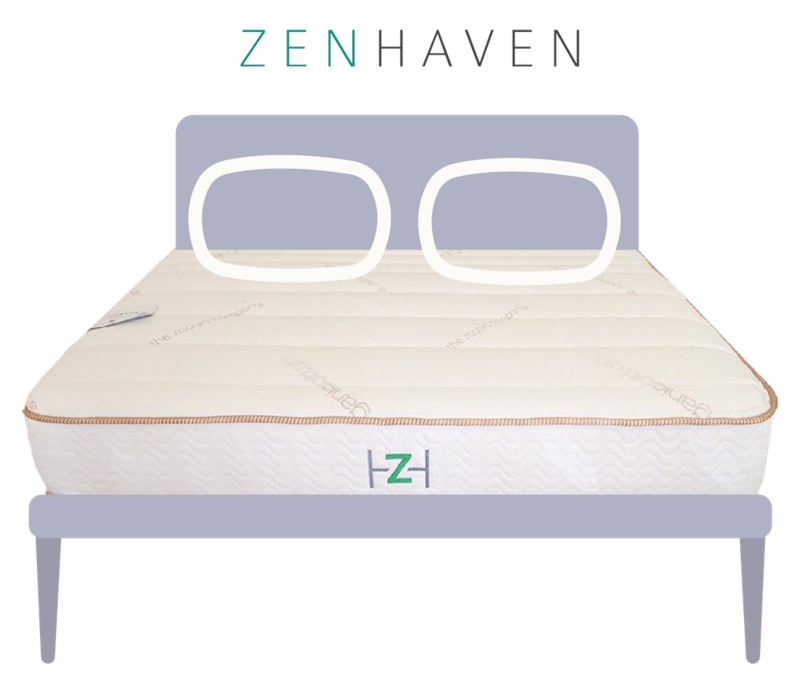 The latex used in the Zenhaven is a very durable material, so this mattress should last a very long time. If you are looking at your purchase as a long-term investment, then the value of the Zenhaven really stands out because of its durability. What also makes this mattress unique is that it is flippable and has two firmness levels in one. This maximizes the chances that you’ll get the right firmness level for you. Because of its all-latex construction, the mattress has nice bounce to it where you get good pressure relief but feel like you are sleeping “on” the mattress rather than “in” it. If you are looking for a long-lasting “green” mattress, Zenhaven could be a good choice. Tempur-Pedic is known for its line of luxury mattresses. I like the Cloud Supreme Breeze because it has great pressure relief but isn’t overly soft (the Cloud Elite and Luxe are softer). It definitely has a nice, luxurious feel to it. 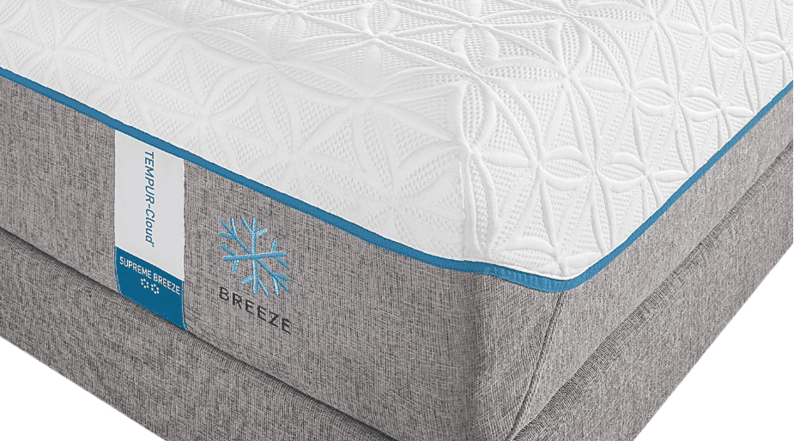 At the same time, because it is a Breeze model, it sleeps cooler than typical memory foam mattresses. That means you get all the benefits of a nice memory foam mattress without heat concerns. 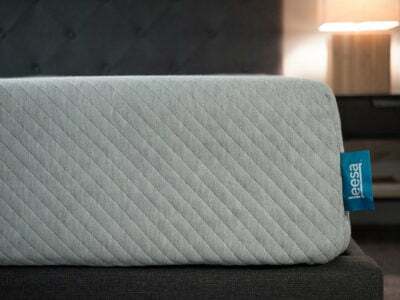 The mattress uses high quality materials that should last a long time. While the mattress is expensive, if you view it as a long-term investment it can be a good value. I think this mattress is most appropriate for side sleepers because it is softer than average and has great pressure relief. If you are a side sleeper, then you are going to want something that is softer than average and that relieves pressure very well. This will prevent you from tossing and turning at night and will make sure you sleep more soundly. In my experience, certain materials are better at relieving pressure than others. Memory foam, for example, is well known for relieving pressure very well. That’s why I recommend the Cloud Supreme Breeze from Tempur-Pedic for side sleepers. It is definitely softer than average, without being too soft. 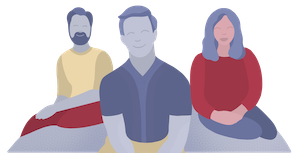 The memory foam used in the mattress relieves pressure extremely well and the mattress is thick enough to handle people of all shapes and sizes. I highly recommend checking it out if you are looking for a luxury mattress and you sleep mainly on your side. What Makes A Mattress “Luxury”? Luxury is a subjective measure in any case, and it’s no different with mattresses. However, I’ll try to list out a few criteria that could make a mattress more of a luxury mattress. Durable Materials– Even if a mattress feels great, it’s not going to be good if it breaks down after six months. With foam mattresses, higher density foam typically means great durability. Whatever the case, try to find out how durable the materials of the mattress you are looking at are. Additional Measures To Keep The Mattress Cool– Sleeping hot is a big concern for a lot of consumers. Luxury mattresses will directly address this issue in the construction. This may come from using gel foam, performance fabric covers, etc. Additional Bells And Whistles– There are lots of additional bells and whistles that could be added to a mattress to make it more of a luxury item. 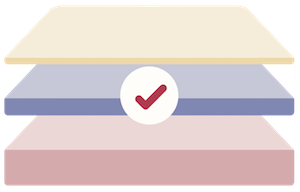 A mattress could be flippable, for example, and have two firmness levels in one. 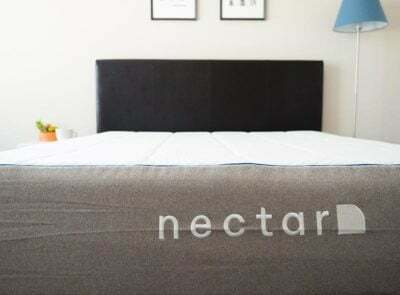 The mattress could have a specialty fabric cover like celliant that could have additional health benefits. You can definitely get a step-up in quality if you have the budget for it. 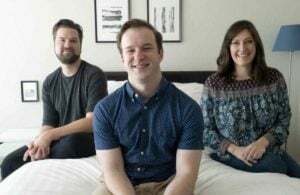 I don’t think you need to spend $10,000 on a mattress, but if you have a few thousand dollars to spend, you can definitely get a great luxury mattress. They are some of the best mattresses you can buy. It depends on what sleeping position the mattress I’m recommending is suitable for. Firmness of 5.5-6 for side sleepers, maybe 6.5-7 for back sleepers and 7.5 for stomach sleeepers.